Iranian Islamist Regime Cracks Down on Women Dancing. 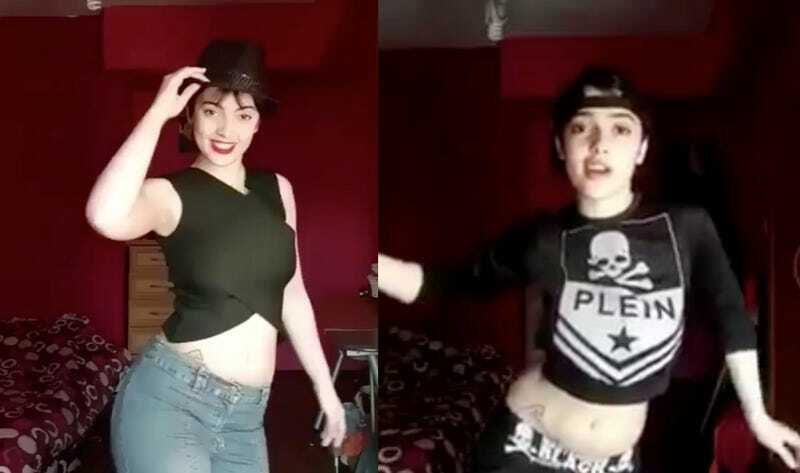 Islamist Bigots Crack Down on Unveiled Dancing Women. Guardian. Saeed Kamali Dehghan Iran correspondent. Arrests of app users including Maedeh Hojabri after posting videos prompt outrage. Just in case anybody had forgotten the everyday religious tyranny that the Iranian Islamist regime shackles its people with. As Women Arrested In Iran for not wearing the Veil, Foreign Office promoted ‘World Hijab Day’ . Iranian Students Protest Against “liberation, respect and security” enforced by Religious Police. According to reports, an email sent to staff said: “Would you like to try on a hijab or learn why Muslim women wear the headscarf? Come along to our walk-in event. “Free scarves for all those that choose to wear it for the day or part of the day. In 1985, it became mandatory for women to wear the hijab with a law that forced all women in Iran, regardless of their religious beliefs, to dress in accordance with Islamic teachings. The hijab became a tool for implementing the government’s strict religious ideology. The National Secular Society has criticised the Foreign Office for “fetishising Islamic head coverings” after it encouraged staff to mark ‘world hijab day’. The Foreign Office sent an internal memo offering employees the chance to wear free hijabs on 1 February. Since 2013 some have called this ‘world hijab day’. Others have responded, particularly on social media, by declaring ‘no hijab day’. The memo claimed “many” women see the headscarf as representing “liberation, respect and security”. “Would you like to try on a hijab or learn why Muslim women wear the headscarf? Come along to our walk-in event. Free scarves for all those that choose to wear it for the day or part of the day. A Foreign Office spokesman told the Evening Standard the event was for staff at its London office who wanted to learn about ‘other cultures’. ‘World hijab day’ was created by a woman in New York in 2013. Its organisers say they created it “in recognition of millions of Muslim women who choose to wear the hijab and live a life of modesty”. They also say it is designed to “fight discrimination against Muslim women through awareness and education”. They claim the support of politicians including Nicola Sturgeon, the First Minister of Scotland. Stephen Evans, NSS chief executive, said: “This appears to have been a well-intentioned event, but it is dubious whether civil service staff need their bosses to educate them on religious issues. “If government departments wish to teach their staff about religion, they should do it warts and all. That means understanding that women are forced to wear the hijab across large parts of the world. And it means understanding the social pressure that encourages many others to wear it as a sign of ‘modesty’, submission to male-dominated religious authorities and a visible sign of commitment to one particular faith and community. On Feb. 1, Rabea Ali brought World Hijab Day to perhaps an unlikely place – Manhattan College, the Roman Catholic school she attends in the Bronx. Nazma Khan, who grew up in the borough, started the annual event in 2013 to promote religious tolerance and encourage non-Muslims and non-Hijabis to wear the hijab for a day. As Protests continue, half of Iranians say No to Compulsory Veils. The “Girls of Revolution Street”. Iranian authorities have arrested 29 people as part of a crack down on protests against the compulsory hijab. The movement, which has been named “the Girls of Revolution Street”, started after a woman took off her headscarf in central Tehran. (BBC). Woman Arrested For Removing Hijab in Tehran Refuses to Repent Despite Facing 10 Years in Prison. Centre for Human Rights in Iran. February the 6th. Compulsory Veils? Half of Iranians Say ‘No’ to Pillar of Revolution. The office of Iran’s president on Sunday charged into the middle of one of the most contentious debates over the character of the Islamic Republic, suddenly releasing a three-year-old report showing that nearly half of Iranians wanted an end to the requirement that women cover their heads in public. The decision to release the report — which found that 49.8 percent of Iranians, both women and men, consider the Islamic veil a private matter and think the government should have no say in it — appears to pit President Hassan Rouhani directly against Iran’s hard-line judiciary, which on Friday said that 29 people had been detained in connection with the protests. 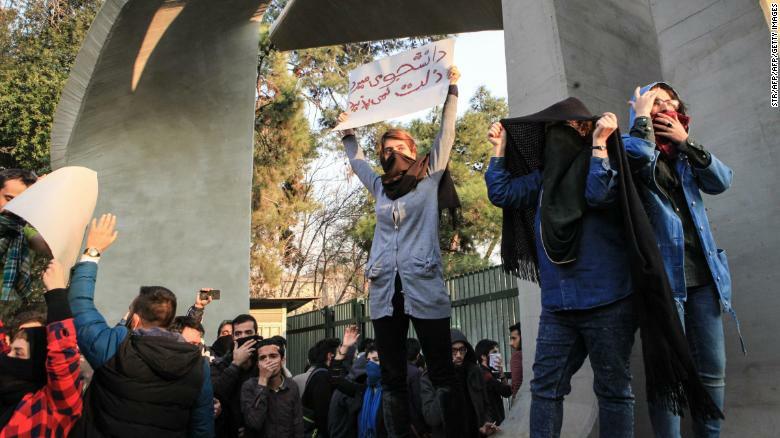 They have called the demonstrations “childish,” insist that the large majority of Iranians support Islamic veiling and have called for harsher measures against those protesting the veil. Observers said the release of the report, by one of Mr. Rouhani’s closest advisers, was probably a politically calculated decision by the president, an Islamic cleric, to bolster support for social reforms and to signal to the authorities to temper their response to the veil protests. Labour NEC Winner Yasmine Dar And Pro-Iranian Rally. Yasmine Dar is now primarily known for being one of the main speakers at an event in February 2017 in Manchester which “celebrated” the 1979 Islamic Revolution in Iran, her hair modestly covered by a hijab. This celebration of a far-right Islamist regime which is at present repressing protestors – our comrades – in Iran is bad enough, but there is more. The Jewish Chronicle writes (17th of January 2018). Momentum-backed Yasmine Dar condemns “reprehensible comments” made by Professor Rodney Shakespeare at pro-Iran rally. The Labour activist elected onto the party’s governing body with the largest overall vote has condemned comments made by a notorious anti-Zionist academic who she appeared with at a rally to celebrate the 38th anniversary of the Iranian Islamic revolution. Ms Dar issued her response on Wednesday after the JC revealed how the Jewish Labour Movement had written to her last November asking her to explain her presence at the event in Manchester at which Professor Shakespeare, an economist spoke. JLM claimed Prof Shakespeare had previously backed anti-Zionist conspiracy theories. Ms Dar failed to respond to the JLM letter. But she now insists that she was unaware of Prof Shakespeare’s previous statements. She told the JC: “I attended because I think it’s important to maintain strong links with all of our communities across Greater Manchester. Ms Dar – who had stood for the Labour parliamentary nomination in the Manchester Gorton constituency last year – also emphasised her past record working with inter-faith community organisations. On Tuesday the JC revealed how the JLM letter asked Ms Dar to clarify her position on the hard-line Iranian regime, on antisemitism, and whether she regretted appearing at the same event as Prof Shakespeare. In the past Prof Shakespeare has claimed 9/11 was a Zionist plot while discussing a United Nations report on climate change. The Iranian regime Dar had the “honour” to celebrate. Pressure Grows on Labour to Defend Human Rights in Iran. The following motion was passed unanimously at a meeting of 60 Labour Party members at Stretford and Urmston CLP in Manchester on 5 January.This CLP supports the working class and popular protests in Iran that started in the city of Mashad on 28th December 2017 and which have since spread to over 40 cities in the country. • Directly oppose poverty and the systematic corruption of the “Islamic Republic” regime. • Include the wide participation of working class people – men and women – many of whom are young and unemployed. • Demand an end to the “Islamic Republic”, the end to rule by “Supreme Leader” Khamanei and “President” Rouhani and the dissolution of the Revolutionary Guards Corps. • Demand an end to military interventions in Syria and Lebanon. • Call for freedom for political prisoners in Iran and an end to the dictatorship. • Support the protests and the calls for workers’ rights and an end to repression and dictatorship. • Support campaigns in solidarity with political prisoners in Iran such as the Solidarity with Middle Eastern Prisoners campaign organised by The Alliane of Middle Eastern Socialists who are calling for the release of: Reza Shahabi from the Tehran Bus Workers’ Syndicate; Narges Mohamnadi from the Centre for Defence of Human Rights in Iran; and Zeynab Jalalian, a Kurdish women’s’ activist. • Cease any co-operation between the Party or Labour MPs with “Press TV” – the English-language arm of the clerical-fascist regime in Iran. • Urgently investigate how best to co-operate with and support worker and popular organisations in Iran who share Labour’s commitment to socialism and freedom and build support for their activities. This comes as appeals for solidarity multiply. Leader of the Worker-communist Party of Iran. The Morning Star meanwhile publishes this article. THE United States slapped sanctions on five subsidiaries of Iran’s Defence Ministry yesterday as the war of words between Washington and Tehran escalated. The sanctions are related to allegations that the subsidiaries are involved in the production of ballistic missiles used by Houthi rebels in the Yemen war, and are unconnected to the wave of protests that has swept Iran over the past week. The US says Iran is the main sponsor of the Houthi movement, whose takeover of Yemen in 2015 prompted a murderous Saudi assault on the country in which the US and Britain have supplied weaponry used in air raids on hospitals and schools. The sanctions came after Iranian Prosecutor-General Mohammad Jafar Montazeri claimed the anti-government demonstrations were instigated by the CIA, with the aim of turning them into an armed insurrection against the Islamic Republic by mid-February. At least 21 people have been killed in the protests, which broke out last Thursday over widespread poverty and unemployment, and included calls for an end to theocratic rule. The communist Tudeh Party of Iran says some of the deaths were “false flag” killings by government agents to justify a heavier crackdown, and a source in the party told the Morning Star over 1,000 people have been arrested — around half in Tehran — for involvement in the protests. At the same time, the government has organised major pro-regime demonstrations, “significantly slowed internet access generally” and cut access to some areas and networks completely in order to impede the spread of unrest via social media. On Thursday it announced that all unregistered mobile phones would be denied connection to the internet. The Interior Ministry placed the total number of participants in anti-government protests at 42,000 and said the biggest single rally involved 1,500 people. The size and duration of the protests, which it said were drawing to a close, were testimony to the “leniency, restraint and tolerance” with which the government had responded, according to Interior Minister Abdolreza Rahmani Fazli. But more protests — including some involving tens of thousands of people — were breaking out on Thursday night, according to the Tudeh Party source, though they acknowledged that the “deployment of the most brutal militiamen and thugs” to the streets to crush the protests was beginning to stifle the upsurge. The US is ravenous to destroy Iran. It’s hard to know if the CIA instigated the recent demonstrations as Iran claims but it is our usual modus operandi. UN Ambassador Haley’s bloodthirsty cries (“The people of Iran are crying out for freedom! All freedom-loving people must stand with their cause!”) certainly match, in both intensity and ignorance, those of Secretary-of-State Clinton, before we destroyed Libya seven years ago. Our role in Iran’s impoverishment however is undeniable. As the three Wise Men swung along on their camels, discoursing on Peace (for that is what they thought the Baby was to bring) could they possibly have conceived of such malignant phantoms, in their starlit visions, as The Plan for the New American Century and its vicious nihilism, 2000 years into the future? 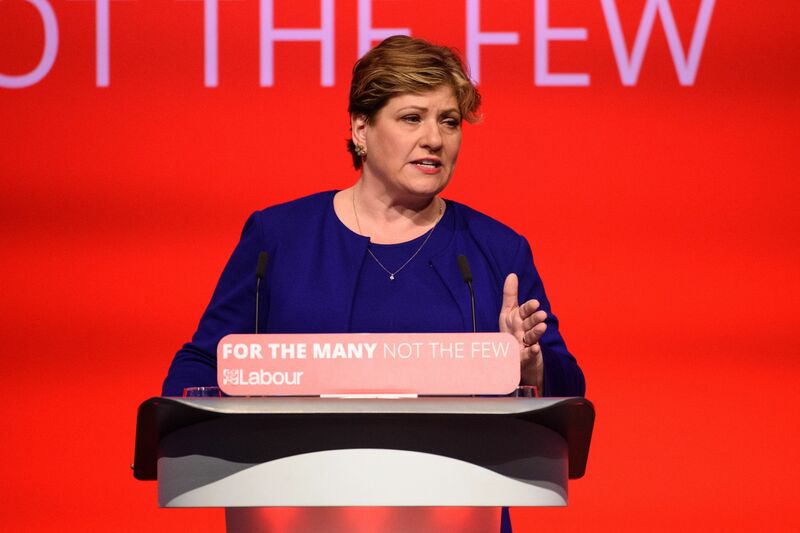 Emily Thornberry and Labour ‘Cautious Approach” to Defending Human Rights in Iran. Thornberry, Cautious Approach to defending Human Rights when it comes to Iran. 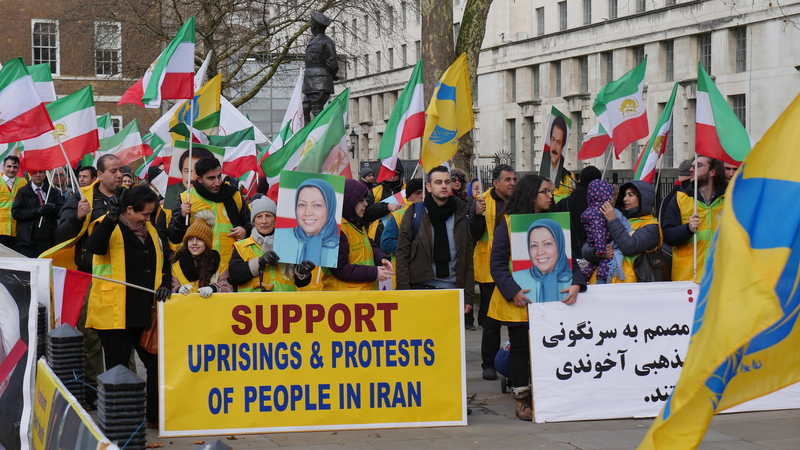 Thornberry told the BBC’s Political Thinking podcast: “Our approach now is one of extreme caution when it comes to Iran and a recognition that the society in Iran is an immensely complex one, and seemingly contradictory. “For example, with these current riots, sometimes they are calling to reinstate the monarchy, sometimes they’re calling out against the [Ayatollah Ali] Khamenei, sometimes they’re calling for Khamenei, sometimes they’re calling for the price of eggs. Some have commented that Thornbury seems to think Iran should be like an episode of Buffy the Vampire Slayer with the goodies in the Scooby Gang fighting the First Evil before Labour will take a stand. Meanwhile these have no hesitation in defending human rights. A group of Iranian human rights defenders have issued a statement in support of the popular protests launched in Iran and Rojhilat and demanded an immediate unconditional release of detained protesters. Support for the popular protests launched by the peoples of Iran and Rojhilat (Eastern Kurdistan) against poverty and the oppressive policies of the regime continues to pour in. 6 human rights defenders who live outside the country issued a joint statement and announced that they stand by the demands of the people. Most famous human rights defenders in Iran, Muhamed Ewliyayîferd, Mehmud Rehmanî Îsfahanî, political prisoners’ rights activist Nesrîn Studa, Muhamed Seyfzade, Nobel Peace Prize laureate Şirîn Ebadi and human rights defender Ebdulkerim Lahici issued a joint statement declaring that the right to protest is the most fundamental right.